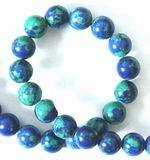 Sorry, we are currently sold out of 'Luscious Blue & Green Turquoise 8mm Beads'. Please check back later. Sorry, we are currently sold out of 'Lime Lemon Turquoise Bead Strand'. Please check back later. Sorry, we are currently sold out of 'Hot Pink Turquoise 8mm Bead Strand'. Please check back later.